The UV filter area is ideal for RNA and DNA visualisation at 312 nm. The white light filter area can be used for the analysis of protein gels, autoradiographs or microtiter plates. The UV filter area is ideal for RNA and DNA visualisation at 365 nm. 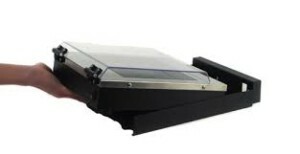 The white light filter area can be used for the analysis of protein gels, autoradiographs or microtiter plates. 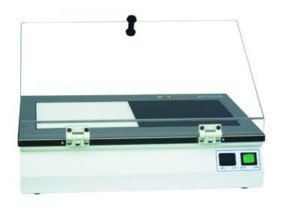 UV table with wavelength of 312 nm and filter size of 22 x 28 cm.